Our mission is to train psychiatrist-leaders, who will become change agents in the rural communities they serve, by uncovering and nurturing their passions, teaching them evidence-based clinical skills, and inspiring innovative approaches to closing gaps in community-based systems of mental health care. The Montana Track at Billings Clinic is part of the University of Washington Psychiatry Residency Program. Residents will spend PGY-1 and PGY-2 in Seattle, WA, and then complete PGY-3 and PGY-4 at the Billings Clinic in Montana. 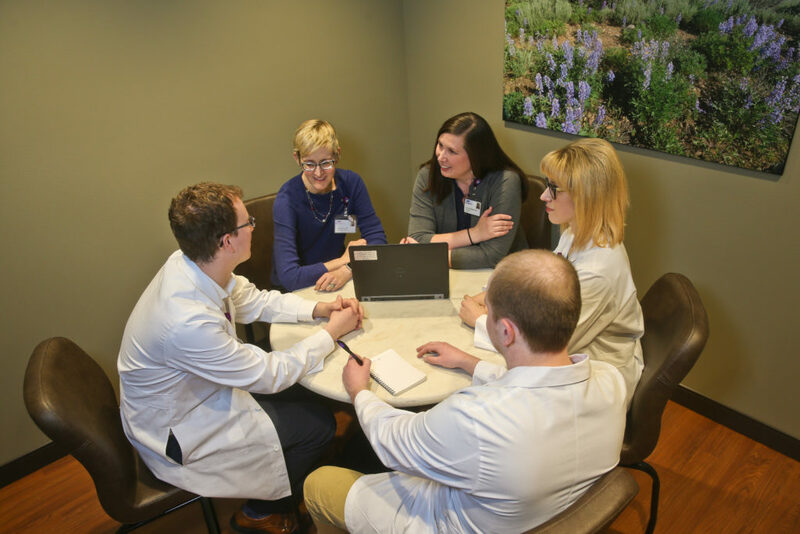 The UW Psychiatry Residency has been successfully operating regional track programs in Spokane, WA and Boise, ID for over 20 years. The Montana Track is the first-ever psychiatry residency program in Montana. Montana is known to locals as the “Last Best Place” and “Big Sky Country”. Unfortunately, this beautiful state is also at the epicenter of our country’s mental health crisis, with a statewide suicide rate that has ranked among the worst for the last 40 years. Compared to other states, Montana is home to a disproportionately high number of military veterans and Native Americans, two populations that have been hit especially hard by mental health and substance use problems.